Post garment factory disasters, supply chain checks, fashion manufacturing smack-downs and more of the mainstream public asking where their clothes are coming from are creating interesting, new marketplace models. Manufacturing in other countries with under-represented people has long been the name of the fashion game and, one wouldn’t argue, is the reason we’re in an ethical fashion conundrum. 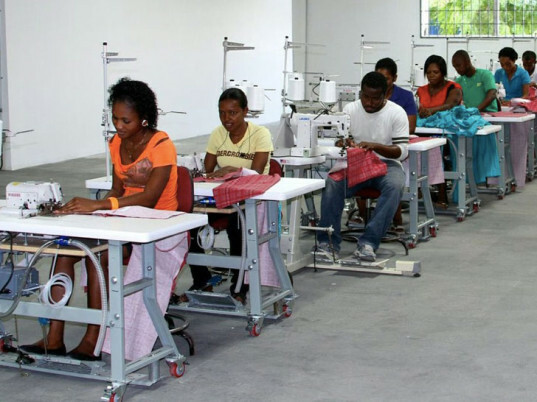 In fact, between 1996 and 2011, more than a half a million American garment industry jobs were lost, no surprise with the apparel industry’s thirst for high-yielding economic ventures in developing countries. The company calls itself a social enterprise dedicated to “pioneering ethical profitability in today’s fast-paced global economy.” From a “shared value” business model that embraces the idea that not all profit is created equal, IRII involves a social purpose to represent a higher form of capitalism, one that creates a positive cycle of company and community prosperity. IRII also invests 50 percent of all profits into its workers, their families and the local community. 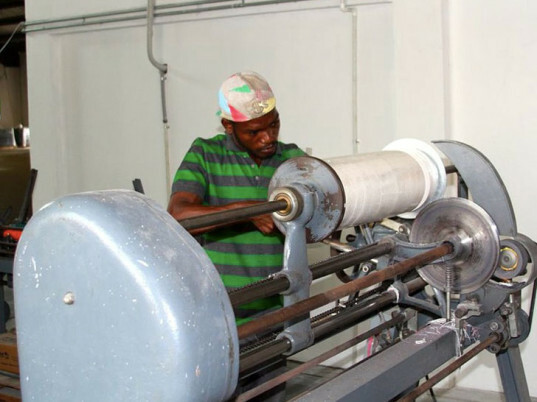 In addition to its Boston headquarters, IRII has also completely renovated a new plant in Port-au-Prince, and has already invested in full architectural and engineering plans for a greenfield factory in Croix-des-Bouqets, Haiti. IRII says this new facility will be the first LEED certified factory in Haiti, utilizing solar and wind power. IRII also expects to share excess power generation and water treatment with the neighboring community, helping enable economic development and cluster creation. We had lots of questions and were happy to catch up with Rob Broggi, founding partner and CEO of IRII to see what he had to say about the company and providing ethical solutions in the fashion industry and their role in being a positive, changing force. How does the IRII team see the importance of providing ethical and environmental solutions for people and the planet through clothing manufacturing? Why not food or home building? Our decision to provide ethical and environmental solutions stems from a need to change the standard practices previously set by manufacturing companies. The apparel industry has always been a beneficial economic venture for developing countries, providing local residents with lucrative opportunities and firm jobs. Through IRII, our mission is to create a new model that adds value to the brands who choose to manufacture responsibly while directly impacting our workers and the surrounding region. Can you talk about how in many garment factories worldwide, employees are not trained properly in “shared value” investing in their future? The “shared value” business model we utilize serves to provide social advancement for its workers just as much as providing fashionable products to customers. During the development stages of IRII, myself along with the rest of the founders wanted to create more sustainable change by creating jobs and economic development, specifically higher-value job creation. By investing 50% of profits into programs for our employees, their families and our neighbors we’re immersing ourselves into the region effectively, not just give back. We hope that others will learn from this practice and also follow suit. It seems IRII has a strong member board including Matt Damon, and fashion heavy hitters Fern Mallis and Donna Karan, what do they bring to the table? We are fortunate to have the support of such heavy hitters who also add to the credibility and awareness of the company. Matt Damon serves as one of IRII’s founding partners while Fern and Donna both serve as advisory board members. Do you think consumers are ready to vote with their dollars? With consumers becoming increasingly aware of the harsh realities of global apparel manufacturing following the Rana Plaza factory collapse earlier this year and a slew of other senseless accidents, the call for change has become even stronger. The market and consumers alike are looking for a solution to remedy the problems plaguing the manufacturing industry. Now is the time to create a brand within the industry that apparel brands and consumers alike can recognize with both social responsibility and integrity. Post garment factory disasters, supply chain checks, fashion manufacturing smack-downs and more of the mainstream public asking where their clothes are coming from are creating interesting, new marketplace models. Manufacturing in other countries with under-represented people has long been the name of the fashion game and, one wouldn't argue, is the reason we're in an ethical fashion conundrum.